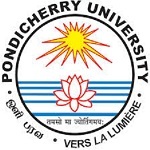 Answer: The application form of Pondicherry University 2020 will be released in the last week of March 2020. Question: In which mode, examination will be conducted? Answer: The Pondicherry University 2020 examination will be conducted through online mode. Question: Is there any reservation criteria for reserve candidates? Answer: Yes, out of total 15% will be reserved for SC;7.5% for ST;27% for OBC NCL;5% for PwD and 25% for candidates of Puducherry UT. Question: Is application form common for all programmes? Answer: No, candidate has to fill the separate application form for each programme. Question: What will be the time duration for the exam? Answer: The time duration for Pondicherry University 2020 entrance test will be of 120 minutes. Question: Is there any direct admission criteria to appear in PG courses? Answer: No, the admission will be only through the entrance exam. Answer: Yes, 1 mark will be deducted for every wrong answer.